Look through any list of classified ads for cars for sale, and you’ll regularly come across the letters: ‘FSH’. They won’t be attached to all the cars on there, but there’s a big chance that they’ll feature very regularly, alongside other well-used acronyms such as ‘HRW’ (heated rear window), ‘ABS’ (anti-lock braking system) and ‘C/L’ (central locking). An FSH is especially worth looking out for, though. It doesn’t describe a feature on a car, but rather means that it has a full-service history… and that is very, very important. Research has found that a car with an up-to-date book of service stamps can be worth as much as a quarter more than one that's otherwise identical but doesn't have a service record. And one in three drivers say they would steer clear of buying a car whose service record had gaps in it or there was none at all. In a market where buyers have so much choice and therefore can pick and choose from whom they make their purchase, it’s one of the surest ways sellers can stand out among the crowd, and establish trust with their customers. The research quoted above also calculated that, with the average used car costing about £7,700, the lack of an ‘FSH’ could lop nearly £1,800 off its potential resale value! Consider that, with the cost of a typical three years’ worth of car servicing coming in at anything from £300 upwards, that means it can often work out cheaper for you to actually get the car serviced at its recommended intervals than to neglect the job and have to take the hit in your pocket when you come to swap it. Who should service my car? It used to be that a service carried out by a franchised dealer was considered to have a higher value than an independent garage. However in 2003 regulations changed to recognise that independent garages are more than capable of carrying out all the regular work needed to keep a car running properly. So it's really a matter of personal choice over where you get your car's regular maintenance carried out. If you are struggling to find a reputable garage near you, don't forget you can use our online tool to save you time money and hassle. Nowadays, where you have your car serviced doesn’t have to make any difference to the way in which the work that’s been done is recorded. In these days of digital record-keeping lots of car manufacturers, for example Mazda, are moving over to holding all records of the servicing and repairs carried out on a car online, with access regulated by the manufacturer. It claims that the service combats the problem of fraudulent entries on the record, because the car’s mileage is recorded along with the work done each time the car goes into a dealer’s workshops. But in order to ensure that the system is still compatible with other manufacturers and for the purposes of satisfying other garages that the work which is claimed to have been done has actually been carried out, it can provide print-outs of information from a car’s records on request. You should be able to get similar information from any dealer for a car which you might be interested in buying, but they’re likely to make a charge for the data, to cover their costs. The Telegraph noted that you should expect to have to pay about £20 to get hold of such a record - but again, that’s a small price to pay for the knowledge it gives you about a car’s past. It’s all part of a more general move to make more information about a car’s history easily available to anyone who’s interested, in parallel with the UK government’s decree. The V5C, or vehicle registration document, is another important piece of paper in this regard. If you buy a car second-hand, this will give the name and address of its previous registered keeper, and show the total number of registered previous owners the car has had. You need a V5C to be able to tax a car and keep it legally on a public road, so this is just as important as the car’s service records, and all of these should be kept in a safe place - not in the car. If you want to find out more information not included on the V5 about owners other than the one immediately before you, this can be had from the Driver and Vehicle Licensing Agency (DVLA). Getting information from previous owners of a car might be a little more difficult, however. They might not have kept records as diligently as you would like them to have done, and of course, time does dim the memory, so exact dates when they bought and sold the car, and other details might have been obscured in the mists of time. You might never have thought that it could be worth your while to keep all the records and receipts connected to servicing and repair work you have done on your car. But the fact is that this information is useful to any future owners, and is likely in their eyes to have a value which they’re prepared to recognise in the price they pay for the car. So getting yourself organised, and being sure to get your car serviced when it’s due, is the most important thing you can do towards safeguarding its future value. Think of it as a little temporary hassle - being without a car for half a day to a day and so possibly having to arrange alternative transport to and from work - which will prove to be worthwhile in the long run. 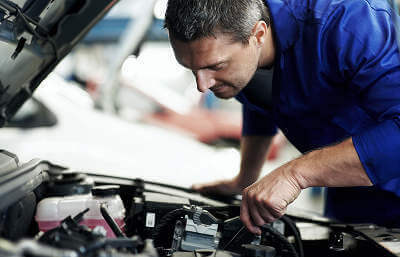 Before your car’s due its next service, come to MyCarNeedsA.com to arrange to get the work done at a time that suits you, and for the best price, using trusted garages rated by our users.